The modeling of component interactions represents a major challenge in designing component systems. In most cases, the components in such systems interact via the results they produce. This approach results in two conflicting requirements that have to be satisfied. On the one hand, the interfaces between the components are subject to exact specifications. On the other hand, however, the component interfaces should not be excessively restricted as this might require the data produced by the components to be converted into the system’s data format. This might pose certain difficulties if complex data types (e.g., graphs or matrices) have to be stored as they often require non-trivial access methods that are not supported by a general data format. The approach introduced in this paper tries to overcome this dilemma by meeting both demands: A role system is a generic way that enables text processing components to produce highly specific results. 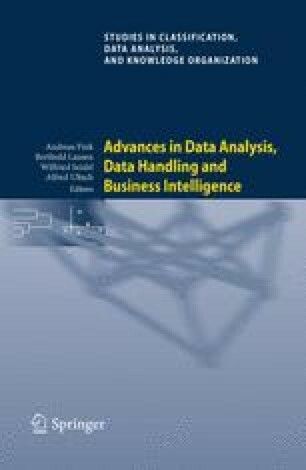 The role concept described in this paper has been adopted by the Tesla (Text Engineering Software Laboratory) framework. We would like to thank Maryia Fedzechkina and Sonja Subicin for their help.